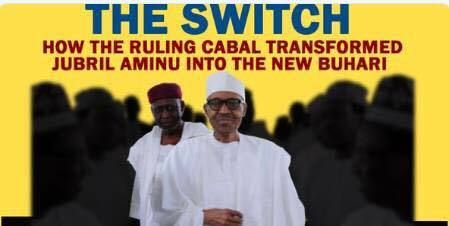 The address from the studios of Radio Biafra in Israel is billed to continue exposing the hidden secrets surrounding the non-appearance of ‘Buhari’ at the just concluded Armistice Day commemoration in Paris and the attempted cover up by his handlers in Aso Rock. Our leader Mazi Nnamdi Kanu via his Twitter handle @MaziNnamdiKanu highlighted that the program will start by 6pm Biafra time. It is an open program designed to enlighten the world on what is at the heart of the decay in Nigeria and why the country cannot be salvaged given that an impostor is masquerading as Buhari. He will also address the issue of premature endorsement of Atiku Abubakar by a few Igbo men that gathered in Enugu yesterday without any written, signed and sealed guarantee contrary to what was agreed by all. This practice of endorsement of presidential candidates without any concrete binding agreement has been going on for 40 years with absolutely nothing to show for it. Politics as usual has come to an end in as much as IPOB is concerned. Those that once screamed, “no restructure no election” to endear themselves to IPOB have it seems been bought over with cash and promise of political appointments for their children that made them to suddenly start singing a different tune. Such inconsistencies, lack of morally upright stance on critical issues impacting on our survival as a race, have over the years led to the enslavement of our people for the enrichment of a few men and their families. This disgraceful outcome will no longer be tolerated by this generation. They are incompatible with the stated values, mission and goals of IPOB. The program will commence at 6pm Biafraland time on 102.1 FM, on satellite, Radio Biafra App, Simple Radio, Tunein, online and Radio Biafra Facebook page.